Just a short distance from St Mark’s Square, facing St Mark’s Basin, the Hotel Paganelli is conveniently situated in a splendid location in Riva degli Schiavoni, in front of the island of San Giorgio. 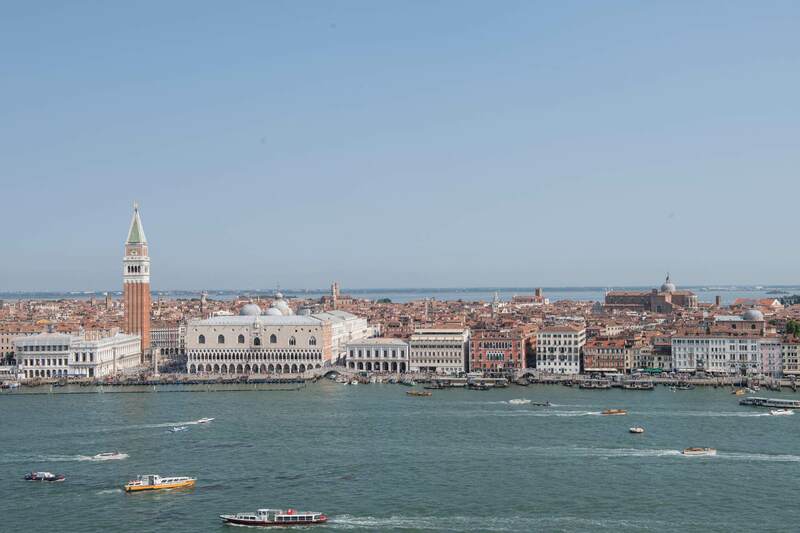 The view from the hotel encompasses Punta della Dogana and the splendid Basilica della Salute, the islands of Giudecca and San Giorgio, the Venice Lido and entire Riva right up to the Gardens of the Biennale. 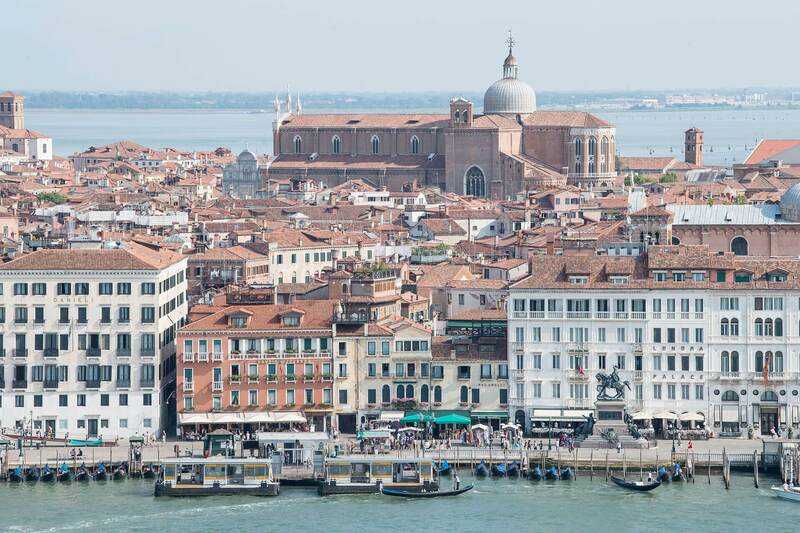 PUBLIC TRANSPORT | The Alilaguna water shuttle (blue line) stops at San Zaccaria, just a few meters from the hotel, connecting Venice to Marco Polo airport and the Maritime Station; the no. 1, 2, 4.1 and 5.1 vaporetti travel along the Grand Canal and Giudecca Canal, reaching the Accademia, Rialto, train station and Piazzale Roma. PRIVATE TAXI | Hotel Paganelli is easily reachable by water taxi from anywhere in the city, including Piazzale Roma, Marco Polo Airport and Santa Lucia Station. For more information, please contact us. BY TRAIN | From Santa Lucia train station, take the vaporetto line 1 or 2 and get off at the San Zaccaria stop. Alternatively, the vaporetto lines 4.1 and 5.1 both stop at San Zaccaria. 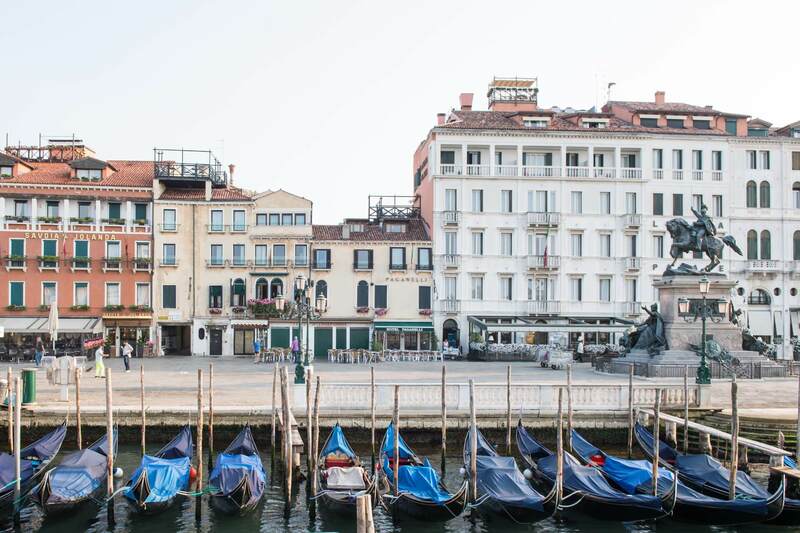 The Hotel Paganelli is only about 50 meters from the vaporetto stops, with the entrance situated in Riva degli Schiavoni. BY PLANE | From Venice’s “Marco Polo” International Airport, the Alilaguna water shuttle service (blue line) arrives at Zaccaria (75 min). From the San Zaccaria stop the Hotel Paganelli is just 50 meters away. Alternatively, take public transportation (ACTV bus line 5 or ATVO bus) to Piazzale Roma (25 min), then continue as indicated under ‘By car’. BY CAR | Once you’ve reached the car terminal in Piazzale Roma, leave your car in one of the municipal parking garages and take the line 1 or 2 vaporetto to San Zaccaria (45 minutes). The entrance to the Hotel Paganelli is situated about 50 meters away in Riva degli Schiavoni. From the car park in Isola del Tronchetto, take the line 2 vaporetto departing in the immediate vicinity (travel time 45 minutes). The enchanting Bridge of Sighs and Gothic profile of Palazzo Ducale are just a short walk from the Hotel Paganelli, preceding St Mark’s Square, the salon of Venice, where the wonderful Basilica with its tall Bell Tower, and historic cafés await you. In the opposite direction, strolling along Riva degli Schiavoni, are the impressive spaces of the Arsenal and Gardens, the superb home of the Biennale Art Festival. Just a few minutes on a vaporetto will take you to the island of Lido, the home of the prestigious Venice International Film Festival, with its beautiful coastline and charming Art Nouveau style buildings. The Hotel Paganelli annex is located in Campo San Zaccaria, with a beautiful view of the church by the same name and the wonderful ambiance of Venice’s most authentic side, which animates the entire Castello district, from Via Garibaldi up to the island of San Pietro di Castello.